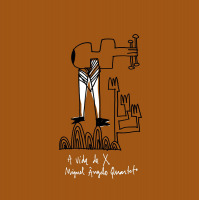 In addition to his numerous sideman appearances, Portuguese bassist Miguel Angelo has released a couple quartet albums under his own name: Branco (2013) and A Vida de X (2016), both of which possess a strong tuneful vitality. Although the format is very different, Ângelo's decision to release a solo-bass recording this time around does make sense, as it's characterized by the prominent melodies and emotionally resonant playing found in abundance on those previous albums. From the first moments of the opening track, "I Have a Dream," Ângelo's patient and deliberate approach establishes itself confidently yet without outsized fanfare. Ângelo's articulation is superb, bringing clarity and precision to each note, allowing the sound of his instrument to emerge fully through his unhurried delivery. 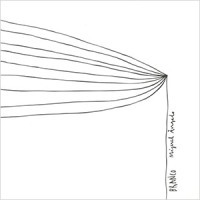 Although Ângelo describes the music as "mostly moments of pure improvisation," there is a coherence to each track that enhances the tunefulness of the music. This is especially apparent on the folk-like "Never and Never Again," and the lovely "Just Go!" which despite its short duration (less than a minute and a half) creates a thoroughly memorable melodic figure. Although this record isn't designed to overwhelm the listener with technical bravado, Ângelo does offer some interesting moments that point to his bass prowess. "Politics Talk" sees him combining arco and pizzicato technique to intriguing effect, suggesting a kind of dialogue between two dissimilar perspectives that never quite connect (fittingly enough, perhaps, for describing politics in this day and age?). And the whimsical "Aliens Exists!" involves a somewhat funky use of the lower register of the instrument, almost sounding as though he's using effects to sustain the otherworldly oddness of the track. The only piece that sounds definitively to have used multi-tracking in the recording process is the closer, "Children's Playground," where three or four overlapping parts are combined to produce the album's most dynamic and assertive music, with a sense of rhythmic propulsion created by counterpoint and repeated plucked figures. 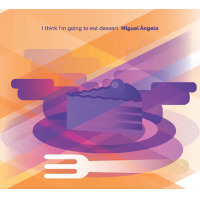 The album's title suggests that this is music intended as an afterthoughtas something to be enjoyed only after the "main course" has been consumed. But that's somewhat misleading, as it's a substantial repast all on its own: one that leaves the listener fully satiated. Track Listing: I Have A Dream; Politics Talk; Never And Never Again; Meditation #1; Aliens Exists! ; Just Go! ; Meditation #2; Farewell Song; Meditation #3; Lullaby; Children’s Playground. 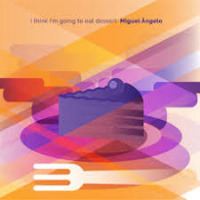 Personnel: Miguel Ângelo: double bass.